I have had a lot of questions lately about how I draw my flowers for my floral designs. This is a quick example of how I go about constructing any flower I may want to incorporate into my designs. 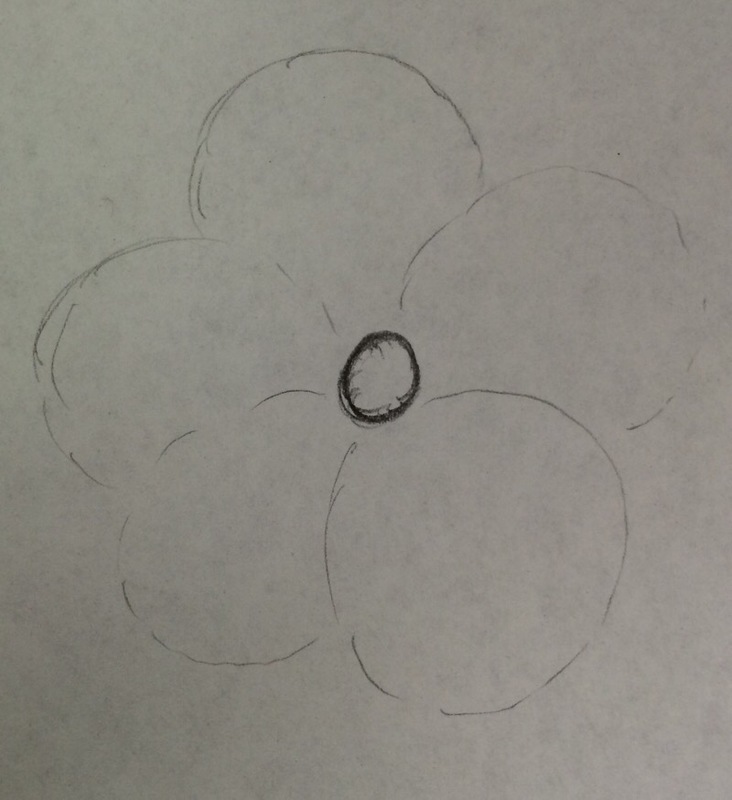 The first thing I do is draw a small circle for my flower center. 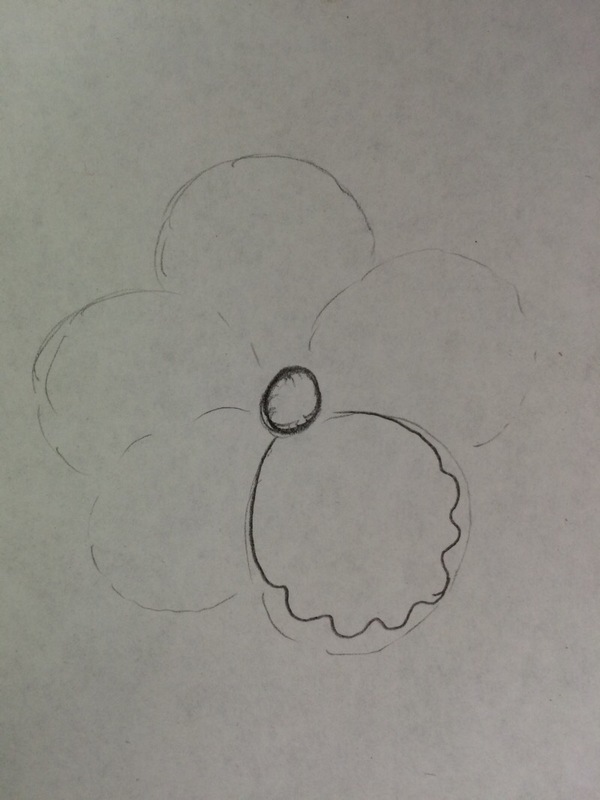 Once that is drawn in the area that will be the center of my flower I then decide on the number of petals this flower will have. Here we are drawing a five petal flower which I represent with just simple rounded shapes sketched in very lightly, just to show their placement and size. 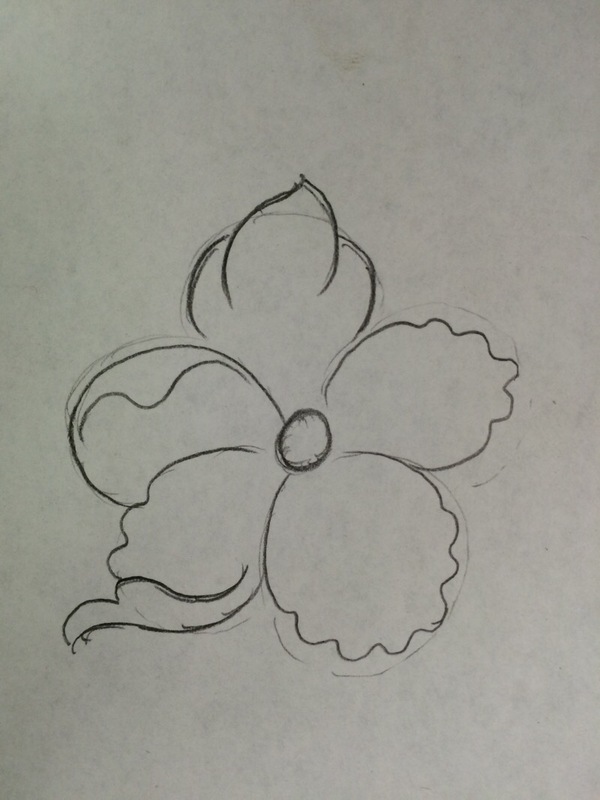 Now that we have the center of the flower and the basic petals sketched in, I determine what the petals will look like and draw that design within my petal guidelines. Here we are drawing a very simple scalloped petal. 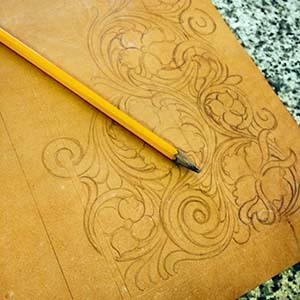 As you can see in the last drawing, you are not limited with this method to just the traditional scalloped petal. Knowing the basic size and placement of the petals first allows you to design virtually any kind of petal for the design you are working on. This method works best for me in both speed and ability to design unique flowers. Try this method and let me know what you think by sending me an email!